Fabric.com loves to provide you with free exclusive pattern downloads so you can test your sewing skills and let your creativity soar. 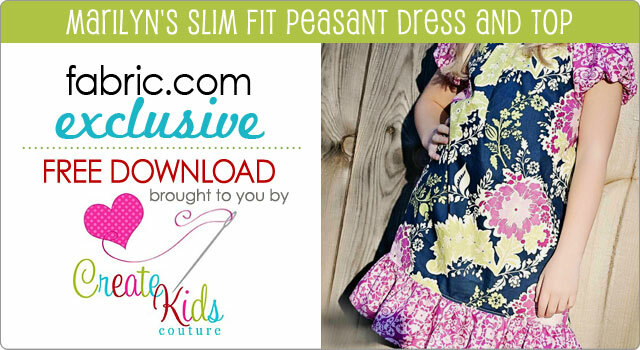 We hope you enjoy this exclusive pattern from our design partner Create Kids Couture, who specializes in terrific easy to sew patterns for kids. Create Kids Couture creators Shannon and Tiffany, strive to make beautiful patterns that are easy to follow whether you are new to sewing or have been sewing for years. ©2012 Fabric.com. All rights reserved.